For some, the acts of growing, cooking and eating food are savoured and sacred; for others, they’re a means of survival. Wherever you fall on this spectrum, there is likely a company out there that is vying for your business. Many of these companies are fundamentally changing what, how and why we eat. From farm to table, Ontario is home to a number of innovative players in the food technology space. Smart Greens is a Cornwall-based company that is growing non-GMO organic greens in refurbished shipping containers, which enables the organization to dramatically reduce the amount of energy and water it uses. The company’s high outputs and minimal use of space and resources make a promising case for the future of farming. Though companies like Smart Greens and Fresh City Farms are making organic produce much more accessible, many people feel as though they do not have the time, desire or ability to cook. To address this gap, platforms like Chef’s Plate reduce the amount of time and thought required to cook a healthy and tasty meal by delivering restaurant-quality recipes and all of the necessary ingredients right to your doorstep (so long as you live in one of their many Ontario delivery zones). 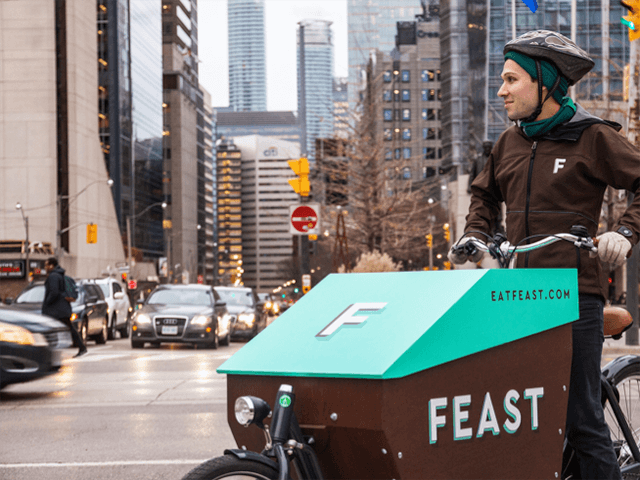 Marrying convenience, sustainability and healthy cooking, Feast is another booming food delivery platform that, with just a few taps on your phone, brings chef-made meals created with local ingredients to your door. 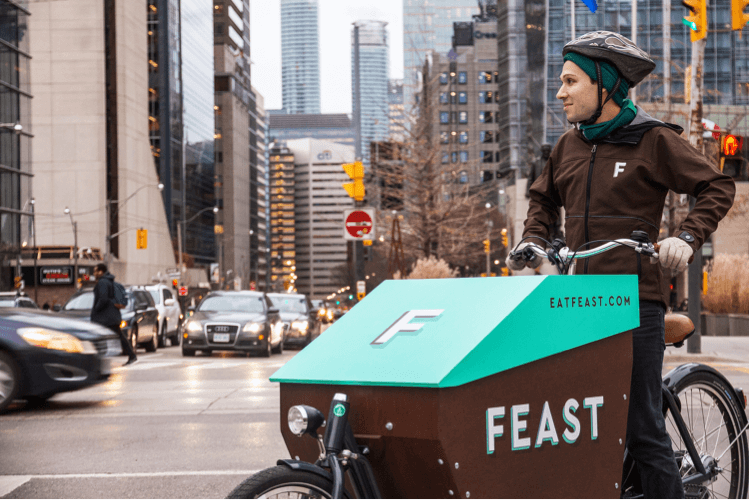 The company’s iconic Feast bikes (vaguely reminiscent of dabbawalas who deliver homemade lunches in Mumbai) are popping up around the city in order to bring customers a new kind of dining experience. Ritual, a Toronto-based company that recently expanded to Chicago, focuses on speeding up the transactions that many of us go through on a daily basis, such as buying a coffee or ordering a salad. The Ritual app allows customers to place an order and pay for it through their smartphone and then skip the line when picking it up. Ritual’s reach already extends to 400 restaurants and cafés throughout Toronto and is continuing to expand throughout North America. The beverage industry is also becoming a hotbed for new consumer experiences: teaBOT’s retail platform consists of robotic kiosks that brew customized teas, giving the customer an element of experimentation and control that traditional beverage retailers often aren’t able to accommodate. On the harder beverage side, The Brew Box allows customers to try a new variety of beer every month through its monthly subscription model and craft brewery partnerships. In addition to promoting a more varied and creative approach to eating and drinking, many emerging food technology companies are empowering customers to make health-informed decisions about their diets. For instance, Tellspec’s food sensor technology combines near-infrared spectroscopy and bioinformatics learning algorithms to scan consumer foods and give you a nutritional breakdown of what they contain. Combined, these technologies are increasing accessibility to healthier and more sustainable foods, saving consumers time and ultimately giving consumers more control over the entire process of food production and consumption.